Straif K, Loomis D, Guyton K, Grosse Y, Lauby-Secretan B, El Ghissassi F, Bouvard V, Benbrahim-Tallaa L, Guha N, Mattock H. (2014) Diet and Esophageal aaldfdsfdsfsdfds for the IARC Monographs. Lancet Oncology, published online May 06, 2014, IARC Monographs Advisory Group Members: Portier CJ (USA), Stewart B (Australia), Ribeiro Pinto LF (Brazil), McLaughlin J (Canada), Dai M (China), Husgafvel-Pursiainen K, Vainio H (Finland), Lasfargues G (France), Bolt H (Germany), Gupta PC (India), Tsuda H (Japan), Rivedal E (Norway), Sewram V (South Africa), Kogevinas M (Spain), Beland FA, Bucher JR, Cogliano V, DeMarini D, Kavlock RJ, Lunn RM, Ward E (USA). Cotton RG, Langer R, Leong T, Martinek J, Sewram V, Smithers M, Swanson PE, Qiao YL, Udagawa H, Ueno M, Wang M, Wei WQ, White RE. (2014) Coping with esophageal cancer approaches worldwide. Ann N Y Acad Sci. 1325:138-58. doi: 10.1111/nyas.12522. Sewram V, Sitas F, O’Connell D, Myers J (2016) Tobacco and alcohol as risk factors for oesophageal cancer in a high incidence area in South Africa. Cancer Epidemiol. 41:113-21. doi: 10.1016/j.canep.2016.02.001. Epub 2016 Feb 20. 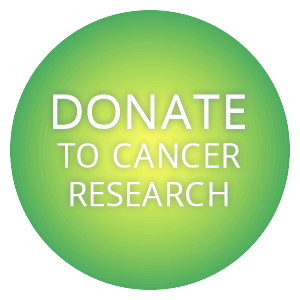 Moodley, D.C. Stefan, V.Sewram, P.Ruff, M.Freeman, K Assante-Shongwe (2016) , An overview of cancer research in South African academic and research institutions, 2013-2014. 106: 607-610. Paken J, Govender CD, Pillay M, Sewram V. (2016) Cisplatin-Associated Ototoxicity: A Review for the Health Professional. J Toxicol. doi: 10.1155/2016/1809394. Paken J, Govender CD, Sewram V. Cisplatin-Associated Ototoxicity Amongst Patients with Cervical Cancer and the Feasibility of an Audiological Monitoring Program, BMC Women’s Health 2017 Dec 11;17(1):129. doi: 10.1186/s12905-017-0486-8. PubMed PMID: 29228931; PubMed Central PMCID: PMC5725900. Yennurajalingam S, Rodrigues LF, Shamieh OM, Tricou C, Filbet M, Naing K, Ramaswamy A, Perez-Cruz PE, Bautista MJS, Bunge S, Muckaden MA, Fakrooden S, Sewram V, Tejedor AN, Rao SS, Williams JL, Liu DD, Park M, Lu Z, Cantu H, Hui D, Reddy SK, Bruera E. Decisional control preferences among patients with advanced cancer: An international multicenter cross-sectional survey. Palliat Med. 2017, Dec 1:269216317747442. doi: 10.1177/0269216317747442. Holmes MD, Dalal S, Sewram V, Diamond MB, Adebamowo SN, Ajayi IO, Adebamowo C, Chiwanga FS, Njelekela M, Laurence C, Volmink J, Bajunirwe F, Nankya-Mutyoba J, Guwatudde D, Reid TG, Willett WC, Adami HO, Fung TT. Consumption of processed food dietary patterns in four African populations. Public Health Nutr. 2018 Feb 1:1-9. doi: 10.1017/S136898001700386X. [Epub ahead of print] PubMed PMID: 29388531.